Buy A Scanner: Try Neat and Try the Vupoint Magic Wand too. Vupoint Magic Wand Scanner. BUY HERE It can do more than just scan your receipts and if you read magazines and what to take articles on the go or if you to any kind of research the Vupoint Scanner is perfect for you. However the NeatReceipts comes with Neatworks BUY HERE software that is top notch. It reads your scans and takes out the necessary information and sorts and files them. Neat Receipts also allows you to look up your scans by keyword. You can use it with Quick books or MS excel also. It is a great combination of scan and file that will save you hours of headaches later. 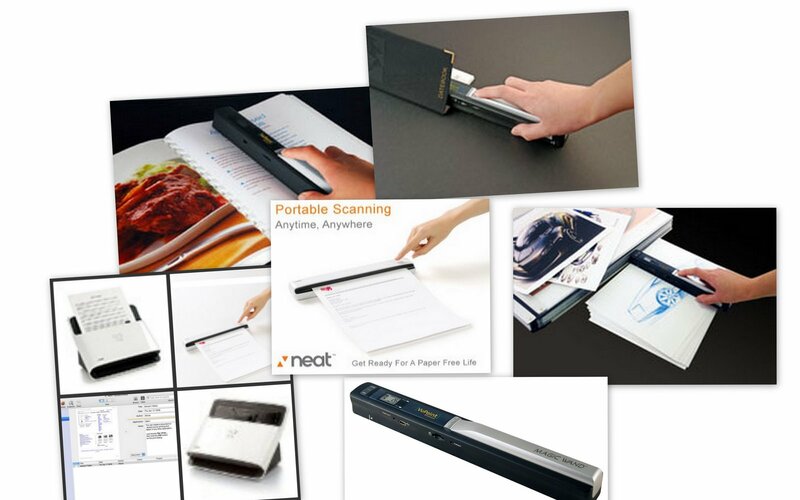 The Neat Receipts is limited by its traditional single sheet feed system. The Vupoint Magic Wand Scanner make the perfect compliment if you are on the go or need to a scanner with you at all times. I have used mine for work and can scan estimates right on the location to ensure I will always have clean copy to view later. Truthfully I think the Vupoint Scanner was made for graduate students and researchers. Ok maybe not but I would have loved to have one backing college. I remember those countless hours spent reading reference materials that were not allowed out of the library. The Neat Company catch phrase Try Neat describes the Vupoint Scanner as well as Neat Receipts. Ideally one of each would be great because they seem to be designed to accomplish the same things but they can be used for divergent applications. The Neat Desk is the desk to model that uses Neatworks software. It as an automatic document feed (ADF) that will accept 50 pages at a time. If you have large volumes of paper work to scan, you would need the Neat Desk work horse. I use Paper Port software with Vupoint Magic Wand but it doesn’t have the capability to read the scan in order to sort and file it. It works well though but not quite automated as the Neat Works organizing software. READ THE LATEST ON THE ECONOMY HERE.